"Best tool for school grading and lesson plans"
I absolutely appreciate being able to post grades, attendance, lesson plans and the ability to send emails to parents and entire classes. It makes communication easily accessible for everyone on their own time schedule. I dislike that their are many times access to RenWeb on an iPad is limited or won’t work. Often pages will not pull up, and if you have limited access to the internet, it can be unusable. Must always have access to your desktop (easier to fully implement) or always have internet connection. One of the biggest issues in schools in communication between the parent and teacher. Often parents must rely on their child for updates on grades or what is due in the near future. RenWeb alleviates that issue and gives us an opportunity to work as a team for the benefit of the students we work with. When a child is absent, they can access lesson plans if the teacher and/or school utilize this option. Grades can be posted even before papers are passed back. The greatest asset of this program is instant access to an ever demanding clientele. I love that the grade book auto-saves while entering grades. It creates less worry for me. I also appreciate the ease with which I can take attendance with the auto fill options. This works well for lunch count as well. I dislike that even though classes may share the same assignments, they all have to be entered for each section. I don't like that report card comments do not have options available for selection or that the page does not auto-save. I dislike that parents have to take a few extra steps to see their student's grade break down. It would be nice if there were more sort features for missing assignments and such. This program is definitely worth it. Once you get familiar with it, you'll for sure appreciate it. I use RenWeb to take daily attendance, enter lunch counts and record grades. I like that it's available anywhere and doesn't require me to carry anything around. I love that it enables parents to stay involved as they also have access to the grade book as well. "Not very user-friendly or intuitive "
I like that our entire school district is accessible in one program. I dislike how it seems that code is being written as we go, that we were sold on a contract with an unfinished product, and how dependent updating parent info is on the office staff. Parents have zero ability to correct miskeyed data or update phone numbers, emails, or addresses without contacting someone at the school with the permissions to edit the incorrect information. Parents also constantly complain about its difficulty to use, unappealing layout, and the fact that the parent app costs money. As a user/adminstrator, I like that you can view students by grade, teacher, homeroom, schedule, as well as students' contact information. Renweb is a great resource for front office staff who regularly make changes and update contact information. In the academic setting, users will make the most use out of Renweb. I honestly do not like the email feature on Renweb. When you click the email tab, it opens up whatever your predesignated browser is to the email features. This feature seems a bit outdated and tiresome to click and drag recipients of the email. I am sure there is a way to link it to Outlook, but I have not figured that out. I would recommend having someone more experienced with RenWeb to walk you through the various features enough times for you to feel confident using email and viewing student information. It is crucial to have student lists, but I could not figure out how to do that without consulting and I have used RenWeb for a year and a half. RenWeb is a major solution for organizing student data, contact information, grades, attendance, schedules, and running reports. While I do not utilize all of those features, I have become more familiarized with RenWeb for it to be very useful. I am not sure how I would function as a school counselor without it. The benefits are that you can access cumulative information without pulling the student's folder. "Updates to RenWebOneFACTS make it a great tool for schools!" Anytime I can save settings or create shortcuts I appreciate it. FACTS (Formerly RenWeb) allows you to save settings, to copy assignments to other classes, and now we are able to include long, personalized narrative report card comments. keystroke like a "Tab" and move to the next cell. Sometimes this has led me to add text meant for one student in another student's grading comment area. I can see that Renweb is trying to offer more capabilities that people like about Google Classroom or other cloud-based services. I like the ability to save documents to the server and re-use them for future courses, or add attachments to lesson plans. I wish that I could have something that meshed the things I love about Google Classroom with the grading/student billing/medical information/attendancethat FACTS SIS offers. I like the ability to access all aspects of a student's information that I need. Being able to sort students by grade before creating an email is very helpful. I love that RenWeb allows parents 24/7 access to student grades and missing work. Students cannot use the excuse that they didn't know they had a low grade. The features are not always the most intuitive, and this has caused a lot of frustration for the teachers who are not very tech savvy. If possible, the person who will be overseeing the technical side of RenWeb should talk to someone from a school who has already been using RenWeb to find out what was the most difficult adjustment for their school. RenWeb streamlines our grade reporting process and communication with parents. Parents, students, and administrators have 24/7 access to grades and lesson plans. It is easy for teachers and administrators to find contact information for parents as well as scheduling and demographic information for students. It also provides a platform for keeping student information in one location. RenWeb's outstanding customer service and technical help enables us to use their product well. Every aspect of our school is managed by the integrated services RenWeb provides. They are extremely responsive to feedback and implement suggestions made by their end users. The on-site training Conferences have been a highlight of my professional development as an Admissions Director. They are committed to excellence in their product, people, and customer relationships. Sometimes the learning curve for new products is steep, but the training and support make the transitions easier. Highly recommend RenWeb to schools looking for a system that can be used by multiple departments needing to access the same information. Tracking Admissions from inquiry to enrolled students. I am able to create detailed reports for our school Board easily and in real time. I like the ability to send communications and manage our school's database of parents, students, and friends. Their report maker has deficiencies as it relates to too many names appearing multiple times as it picks up all relationships. It's hard at times to whittle down reports to a narrow set of names as it wants to grab all information. Later, you are left deleting duplicate rows and names. I believe if you have a large private school with many constituents and families, I believe pulling reports could be an issue in terms of extra time. Better export functions would be ideal, and the ability of some information to be changed in one place and automatically be changed in another would be extremely helpful. I love the accessibility of student information--being able to communicate teacher to parent is tremendously helpful. It also improves student progress as parents have a way to check and balance assignments, progress, and teacher communication. The RenWeb App and RenWeb desktop screens are COMPLETELY different. In some instances, there are options on the app that are not in even a remotely similar place on the desktop version. This makes it difficult for parents to sometimes find the needed information quickly (or at all!). It can also impair communication between the teacher/parent if the parent is trying to get RenWeb assistance. RenWeb is an excellent solution for parent/teacher/school communication and sharing of documents, grades, resources, information, and even payment/billing information. We love it. It makes day to day life easier! I can't imagine how difficult communication would be without RenWeb. Having the app makes it so useful and easily accessible. RenWeb is a solution for the "homework list" and classroom resources. Teachers may upload reference documents for the entire term, weekly assignments under subjects or courses, and the school can provide schedules, announcements, and even snow day information. There is also a directory for those that participate as well as an option to pay a bill or add lunch money to a student account. RenWeb creates one family account for multiple students. "Adaquite, but could be better...."
The ability to do attendace on a mobile or a tablet. Also the ability to email my whole class and their parents. Sorting class data, grading input, and parent-teacher communication. "With a few improvements, could be very useful"
RenWeb allows a teacher to customize grade calculations for each class and then automatically calculates grades in a running format. You can enter categories such as quizzes, homework, labs, tests, exams, classwork, etc., and assign percentages for each category and RenWeb will weight the grades accordingly and do all the calculations, saving a ton of time. Also, RenWeb allows the option of dropping a teacher-specified number of grades in a category at the end of a grading period. Additionally, RenWeb keeps track of attendance, lesson plans, and homework assignments, and keeps everything in one place. This makes report card time a breeze at the end of each semester. RenWeb is not very intuitive in many aspects, and required redundant work in others. For example, when the teacher enters the semester exam grades so they appear on the students' view when the students (or parents) log in to check grades, RenWeb will not pull those grades to fil the report card. All other grades that have been entered on the same screen will appear, but not the exam category. The semester exam must be entered by hand in a separate log-in on the report card or RenWeb will not print the exam grade on the report card. The system is smart enough to pull quarter grades across for the report card, but not smart enough to pull exam grades across for the report card, even though the system has a blank for it. You must double the work and manually enter every exam grade twice. RenWeb is very expensive for what you get. There are other options out there that appear to do the same thing at a fraction of the cost. It appears that RenWeb has a large market share due to its promotion among ACSI-accredited schools. I would encourage schools to consider other cost-effective options that are available through Microsoft and Google before sinking so much money into RenWeb. Don't pay for frustration if you can get it for free or significantly cheaper somewhere else. Tracking student attendance, including absences and tardies, in individual classes allows for easy compliance with state course attendance laws. RenWeb's instant updating of the grades allows students to track their progress throughout the semeseter and makes it easier for teachers to notice when a student is struggling. "RenWeb makes school admin a snap!" I liked that RenWeb provided a platform for attendance, lunch orders, email lists, grades and student information all within one easy app. I wish there was a way to communicate with parents directly through the RenWeb app. This would have been a useful feature for things like spontaneous bad weather days--I would have liked to have been able to click on my class, send out a mass text from the app. Instead of having to look up each number, call specifically, etc. Make sure all of the information is properly inputted. Explain to parents your system for marking that a paper or project has been turned in but not graded. I usually had to put a 0 as a placeholder, and parents would get afraid when they saw the 0 not realizing that it was just a placeholder grade. A system in place for these kinds of things prior to the year would be good. We are able to account for student attendance, take and see lunch orders at a glance, input grades, and look up student information. It helps that it's "on the go", so I don't have to lug home student information every time I leave school. RenWeb allows you to post content online for students to access anytime. I also like that I can work on lesson plans or grading wherever I have an internet connection. Students and parents can also pay a nominal fee for an app. The app is free to faculty. All reports must use internet explorer. Text cannot be copied from Microsoft Word. Text must first be copied into textpad, saved and then re-copied into RenWeb. Renweb is a great LMS and pairs well with Moodle. Students can readily access materials needed for class from home. Teachers and students have access to lesson plans, homework and grades instantly. Lesson plans are easily saved from year to year. "RenWeb use at a private school. " I liked that the program is online-based, so a teacher can enter grades, comments, etc. from anywhere. I used RenWeb not only with the web browser on my laptop, but with the app on my phone. I was able to take attendance from the front of my classroom on my phone rather than at the back of my room on the desk top. I could also quickly enter participation grades and give inquiring students a quick look at their grades. The one aspect that could be frustrating at times is the fact that the site might have issues from time to time and I was unable to access my grade book or grades would not save properly. For this reason, I kept a hard copy grade book as well. I would recommend this software for schools who are looking for one program that really does it all. There are minor issues from time to time like all online-based programs, but dealing with customer service has always been a positive experience. The fact that one can use the program anywhere via a phone, laptop, or desktop with an internet connection is invaluable. I especially appreciate using the app to free up time to spend with students in the classroom rather than sitting behind a desktop to enter attendance or participation grades. RenWeb allows for thorough record keeping and an organized way in which to find student information when needed. The site can be used by parents as well as staff, so parents who want it can be constantly updated with the latest information being entered for their child. It streamlines communication between teachers and parents, students, and other staff by allowing teachers to send messages to individuals or groups, to upload lesson plans which both parent and student have access to, and to access their own or their students' schedules at any time. There are often technical difficulties that arise while using the software and it is not always user-friendly. When sending emails, the webpage often times out, causing everything you had written to be lost and forcing you to write it all over again. Communication is very important in primary and secondary education to maintain a good relationship with students and parents, and to provide a quality education, and therefore having a software that facilitates that process has been very beneficial for our school. "A great communication tool for students and parents"
Ease of use and organic menus. It is a very user-friendly software that allows teachers to be as creative or minimalist as they desire in their communication with parents and constituents. Pages have to be reloaded occasionally to recognize their changes. That could be the fault of the browser, however. Works well in Google Chrome, but doesn't seem to like alternative browsers. Once teachers know how to use this effectively, it will be their best friend. It produces all kinds of documentation for parent conferences, accreditation, and other uses. Parents feel more in-touch, and students have no excuses regarding "not knowing." As long as the teacher is fully utilizing this tool, students, parents, administrators, and others will never have any questions about what is happening in a classroom. "Pretty easy to use, gets the job done"
Renweb makes it easy to take attendance through the app. The grading and report cards function take a little more time to learn but are great once you get the hang of it. It doesn't automatically switch to the term you are in, so sometimes you end up entering grades for the incorrect term. For communicating with parents, it is hard (or maybe impossible) to see your sent messages. Learn how to use it before beginning! It is definitely helpful to understand how to use the tools before trying! It makes it easier to take attendance- way more efficient than how we used to do it (sending notes to the office). Very easy to send out an email to a large group, all contact info is stored and readily available. I like that parents can log in at any time and see exactly where their student's grades stand, and it also provides one place for all announcements, calendars, homework assignments, etc. If you can get parents to check it frequently it is great! I wish it had the ability to upload lesson plans a different way - their template wasn't very intuitive at least for the elementary level. I would also like to see an easier way to do report cards with a mastery / skills checklist. It was very tedious. This is a great tool allowing parents to see grades, test scores, attendance, etc. online at any time. It offers flexibility to the teacher as to how to weight different grades and setting up the grade book and assignments. It also shows the student/parent a calendar of when various homework assignments are due. This is particularly helpful at the secondary level. GreaI love how easy it is to communicate with the parents of my students, and for the parents to see their children's grades anytime the would like, including test grades. It's also easy to type in an assignment for my students and they are able to access it instantly. I wish that the layout was a little more user friendly. A few things are in spots that logically don't make sense. It's so easy to communicate with parents or send a parent alert when necessary. My students are able to contact me easily if they have a question about an assignment, and the parents can easily contact me to discuss any questions they might have. "RenWeb: a perfect education systems solution for the semi tech savvy "
As a former teacher of all middle school subjects, I loved that renweb had everything in one place. I didn't have to open multiple documents per subject. The email system to parents was also great, when the emails went through (85%). 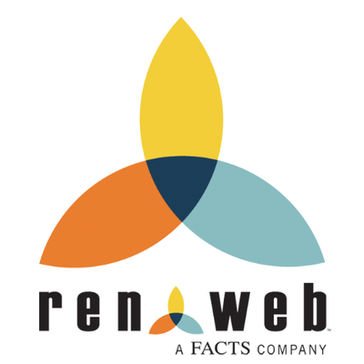 The updated renweb system is a web interface and not a download like its older versions. This is fine, but the majority of the tutorials are outdated. If you can teach yourself everything it's great though. We created customized report cards for each grade level. We also are able to keep track of every students progress without having to meet with them and the teacher individually. It's a major time saver. We also use the time clock for employees. "Useful Software for School Solutions"
My institution uses RenWeb for student information, student scheduling, student communication, attendance, and final grade assignments (but not as a gradebook). I find the online RenWeb One platform to be easy to use for all of these functions. I particularly like the Report Manager and the ability to make reports in numerous different ways. While I love having the convenience of using the mobile application, it seems a bit outdated and I wish it had a more "modern" design. It is still useful for tracking attendance, but it is a bit slow. I am not sure if there is a tardy = absence policy rule that can be generated, but that would be a nice feature. Finally, I also dislike how RenWeb does not work well in Chrome. We began using this just for keeping student records and for making a final report card. It definitely served its original purpose and we have found many new ones since. I really like that RenWeb has an app that allows me to access student information (address, phone numbers, birthdate, etc) from anywhere. The app also allows me to easily enter attendance from anywhere in my classroom but just using my phone. RenWeb works very well on Chrome and Firefox, but for some reason I have never had much success with the report card feature from Safari. 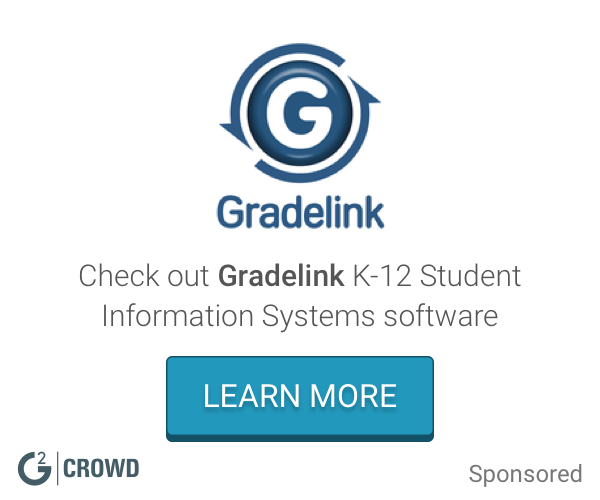 Our school uses RenWeb for grades, attendance, student data, and classroom lists. It is a centralized place for our school to house basic data. "Nice features, could be easier"
I like the ability to import assignments directly from the homework category into the lesson plan as I create them. Also, the copy to another class feature and the ability to make notes on the grades. Copying to another class could be easier and it glitches and erases occasionally. We use it as a management system to work with grades, attendance, and discipline. "Couldn't keep track of everything without it! " I love how everything is in one place and is easy to navigate. Uploading lesson plans. Typing in lesson plans piece by piece is generally not realistic. The process for uploading and viewing lesson plans created outside of RenWeb needs to be easier. RenWeb is constantly improving and they have greta tools! Be aware of which components are most valuable to your school and price-check first. Some additional components are quite costly for small schools. Communication, management of staff, parent information, attendance, food management, and much more! Our school enjoys the benefits of simple, fast communication both between staff members and also with our school families. It is easy to access student and parent contact information and enter attendance. Some features, including reports and rosters, are not always easy to locate. We have experienced a few outages over the years as well. Be sure that someone in your organization is nearly an expert with the program. RenWeb makes it easy to send emails to segmented groups (students, parents, alumni, etc.). Once I am able to locate and create a report, the reports are helpful. I use the software daily to look up contact information for parents and class schedules for students. "Renweb is a helpful tool for my school to manage our admissions and enrollment." I like that we can track interest in our school and have a thorough record of former and current students. It is not always user friendly. There are a few features in the email and report manager sections that are confusing to use. Duplicate families and figuring out how to fix those was not intuitive. Renweb allows us as a school to keep up to date records on our students and families. The new enrollment dashboard is a great tool to help track numbers. "RenWeb is a good resource for managing student information. " I like the ease of tracking attendance and student grades. I wish I could more easily work with RenWeb from my personal computer. It is a good resource for managing student data and staying in contact with parents/guardians. I am able to take attendance using my mobile phone anytime and anywhere. "Lots of Features- decent interface"
Once you get familiar with the system it is relatively easy to find information, share details and produce reports of information. "I use it because I have to." I like using the Directory to look up users to easily contact them. It's clunky to use. I do not like that in the Communications section, it does not save drafts of emails or keep a copy of correspondence and I've lost data in the middle of composing an email. School management for students and parents and teachers. I like that I can access it on my phone for attendance... other than that, the app doesn’t do much as in grades. The desktop version for windows works best to enter data. It is down a lot. Constantly having to work around it especially around report card time. Things don’t work and show like they should. We call them a lot but they aren’t the most helpful via phone. RenWeb1 for safari users is the worst. You can not access much. None; this is a program we use for school data, on the students. Report cards, attendance, grades, etc. "Renweb has its perks and pitfalls." I like that we have a digital way to track students’ grades, information, and attendance all through one program. I wish you could personalize the pages more and arrange your courses by class period. It’s an excellent way to keep digital records. We don’t have to keep hard copies of anything unless we choose to. Communication with parents students and other stakeholders is simplified. I think that the best part of Renweb is the way that shares with parents, everything related to their child. News, grades, reports. "It is very user friendly." No technical issues. App is easy to use. Simple format. When putting lesson plans for a third grade class each week for multiple subjects it is time consuming to have to pull up each individual day rather than see the week. Data input: it’s pretty easy to use the keyboard to put in data as well as using the menu at top to choose which code to put in. Data output: I always have a hard time finding the correct report. I don’t know if the names of reports can be changed but I always pick the wrong ones and have to start over. Pulling data for accreditation. It stirs data well but the reports aren’t easy to pull. "It includes all the necessary components for teaching." I like that I can send grades, do attendance, send homework and messages to parents all in one platform. I feel that it could be more visually pleasing. It feels like an old program. It is very comprehensive. I don't have to open different applications for my classroom communication. So many features. I like the report manager. SCertain things you cannot do. Like emailing the whole body and personalizing based on what information matriculates. Take all the online training. Call them all the time. Customer support is pretty solid. I love that RenWeb automates everything for me. Updates are not always the best - they take a while to get used to and seem to need a lot of feedback and suggestion to get it to where it's usable again. Everything is automated and available to those who need to view it - other staff members, administration, parents, students... Everyone who needs information can see it, according to the amount of information they need to see. I can email groups of people, I can see my student's gradebook average, I can see how my whole class did on an assignment - this system really allows me to function efficiently as a teacher. I enjoy using Renweb; however, when the software updates you kind of have to.learn it all over again. It's not hard if you are used to it. Using the Renweb1 has been different but seems to be moving pretty smoothly. Renweb has no problems. They have online support all of the time. "It does most of what I need but isn’t so intuitive "
I don’t think it’s intuitive where to find things. Specifically, student reports and recording incidents is confusing to me. I would also like it to link to and import grades from more education technology sources. "Not best suited for Elementary"
It is not user-friendly, and emails take too many steps. "RenWeb is easy to use, covers all our SIS needs, and has phenomenal support." Student application, registration, grading, attendance, counseling, behavior, finances, and staff HR, can all be done through RenWeb. RenWeb also syncs up with Moodle, Canvas, Overgrad, and Facts tuition. Customization can get expensive and the lesson planning is quite basic. All of our student information needs are easily addressed with RenWeb. "Useful Multi-Purpose Tool for Educators! " I like that RenWeb is my one-stop-shop for attendance, grading, student info, report cards and more. In the past I have had occasional issues with logging in and the website freezing. However, this seems to be much better with the new version. At previous schools I have had to use several different websites for grading, attendance and students data before manually entering grades into report cards. With RenWeb I can do it all in once place. It saves me a lot of time and is much more convenient. I like that you can access information for students and families....contact info, achedules, etc. Quick access to necessary information is great! The interface is straightforward and it's easy to navigate. I can't combine my roles as school librarian and teacher - I can't access both the library portal and the gradebook within the same log in. Overall it's a basic learning management software but it is not very robust. The way the classes are separated. I do like the way students, teachers and parents can access it! How many ways your have to close out then go through another tab to get to what you want. The program is online. I like the online chat support. Product is glitchy at times. Maybe due to being online. Take the classes they offer to learn product. We used it for school management. * We monitor all RenWeb reviews to prevent fraudulent reviews and keep review quality high. We do not post reviews by company employees or direct competitors. Validated reviews require the user to submit a screenshot of the product containing their user ID, in order to verify a user is an actual user of the product. Hi there! Are you looking to implement a solution like RenWeb?